Blinds are the most popular types of window treatments there are. They’re very versatile, and they can greatly enhance your interior design and offer a great light control. When you’re selecting window blinds for your home, you’ll have a wide variety of types of blinds to choose from, each with their own unique style. 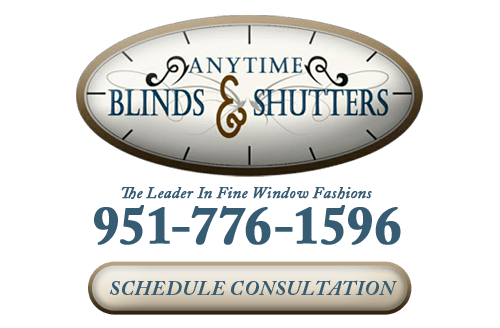 At Anytime Blinds & Shutters, our blinds experts can help your choose the perfect window blinds in Riverside, CA for your home, and we’ll do whatever it takes to make sure that you’re totally satisfied with your new window treatments. To help you make the most informed decision possible, our Riverside window blinds company has compiled a list of some of the most popular types of blinds and what benefits they can offer your home. Venetian blinds are the most common types of blinds, and they can work well with most types of windows and in any kind of room. They have a basic design consisting of horizontal slats that are positioned on top of one another and held in place by string. These slats can be made from multiple materials, and they can range of in size from one to four inches. 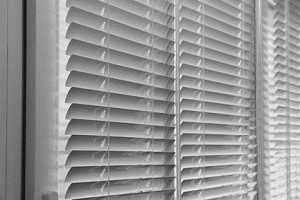 Mini blinds are a types of Venetian with smaller slats and a more sleek style. The slats are typically around a half-inch in width. The smaller slats make them an excellent choice for smaller windows, or for larger windows that are clustered together. Mini blinds are very common in both homes and offices, and they can be an excellent addition to any room in your Riverside home. Vertical designs feature slats that run vertically as opposed to horizontally, a design element that can reduce the amount of dust that builds up on the blinds, and which may be the perfect option for a Riverside home with a more modern design style. These types of blinds are idea for patio doors and for large windows, especially if they open on the side. If you’re looking for window blinds in Riverside, CA that will block the maximum amount of light from entering a room, roller blinds are an excellent choice. Roller blinds feature a one-piece design that is usually constructed on a metal pole that operates with a chain or a spring mechanism. They’ll either allow light to enter completely or they’ll totally block any light from entering when they’re closed. Wood or faux blinds are typically designed in a Venetian style, although they may also be designed vertically. Both real and faux wood blinds are extremely popular, and they can be a great addition to any room in your Riverside home. Their classic design style makes them a perfect addition to any kind of interior design style. 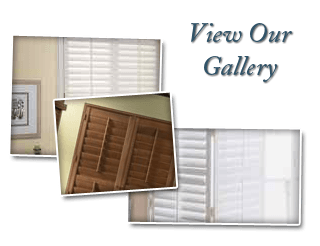 If you’re looking for a a variety of window blinds in Riverside, call Anytime Blinds & Shutters at 951-776-1596, or fill out our online request form.